Chickens at rest, and calling all knitters / sewers…..
Not much to report at present. 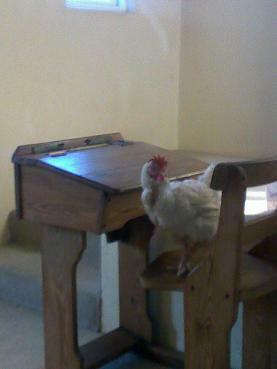 Chickens are all doing well , and what chickens are supposed to do. I am just wanting a rest after stressful and sad time nursing Bello – the girls we do have, are keeping us busy. The babies are wanting to perch at night. Something new for me, as all our rescues are used to being flat footed from the cages. We have placed some logs in the chicken house for the 3 little ones, and they love it. All the girls are feeling the cold. 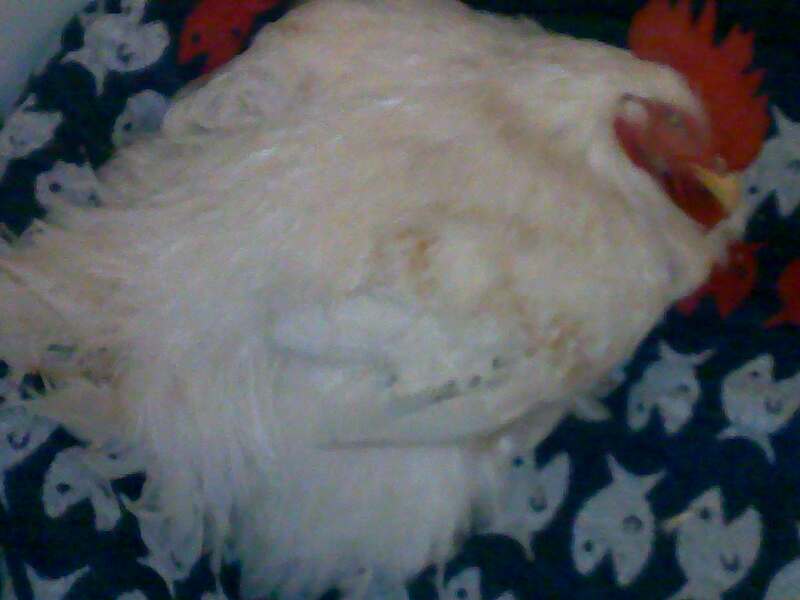 We need some hen jerseys for the cold days, given that some of our chicks are compromised on the feather front. Little Hen Rescue in the UK (fabulous organisation) has a pattern for a hen jumper. If you are able to help, please contact me through leaving a comment. 24th April rescue saw two chicks, Goldie and Chick-Chick going to a new home. 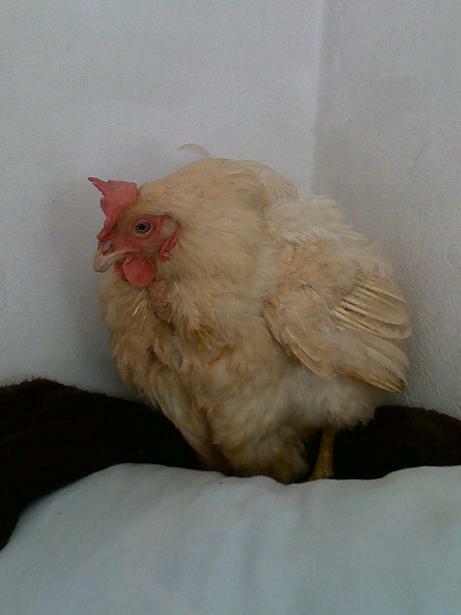 Tragically Goldie was killed by a neighbours dog. 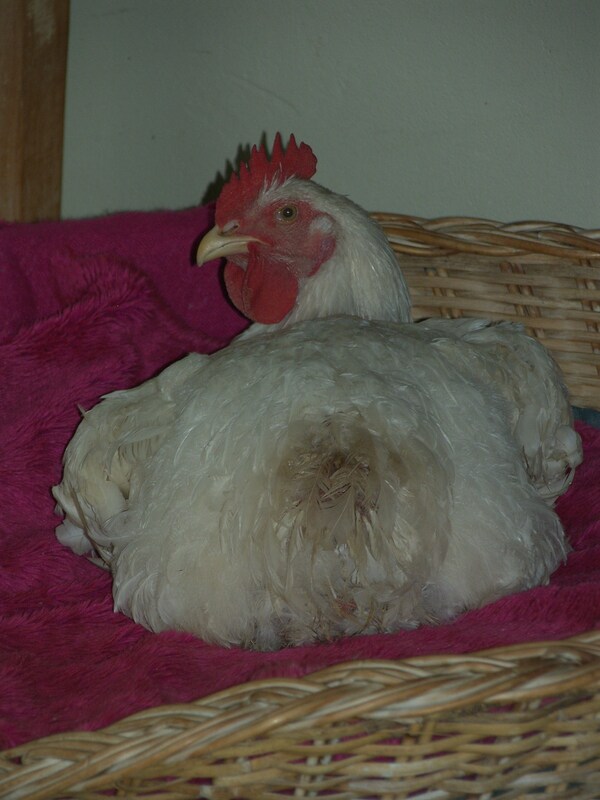 We were asked to take Chick-Chick back to allow the family to recover from trauma, and to keep Chick-Chick safe (if you look back at the rescue article – scroll down a way – Chick-Chick is the chicken with the damaged/ burned comb – the scab has now fallen off, and their is lovely new pink skin below). 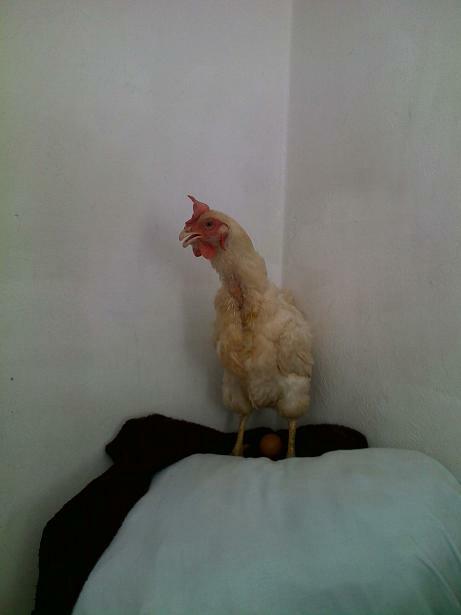 Chick-Chick has been back with us for the last week. We have fallen in love with her. She had a deep voice and is so friendly and delicious to cuddle. 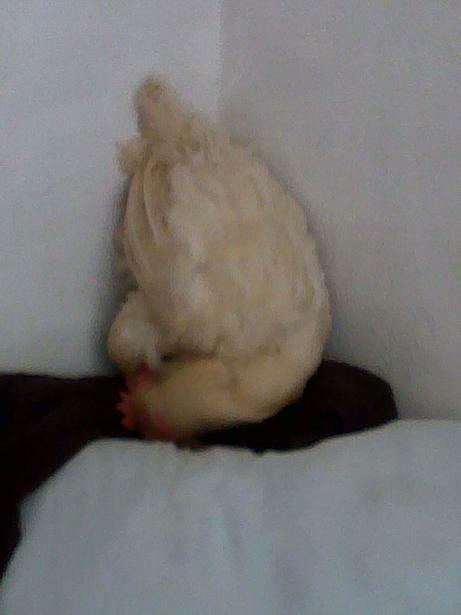 Yesterday I photographed her laying an egg. See pics below. 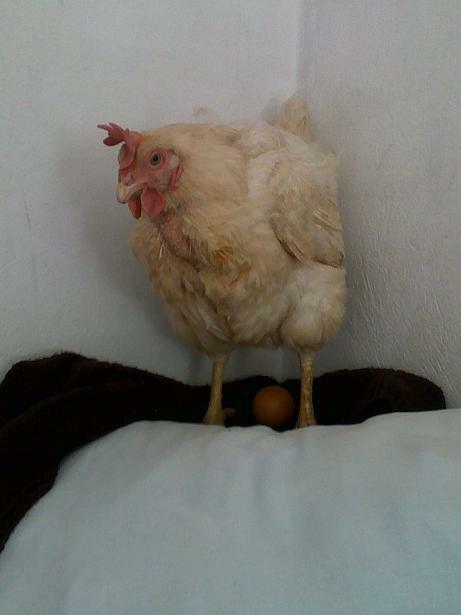 I never stop getting excited by the laying of an egg. It seems so miraculous and magnificent, that this little bod could produce something so beautiful and perfect on a daily basis. Chickens should be revered for their amazing capabilities, and I think they should be shown much more respect for what their amazing bodies produce for us. Where is this egg? When is it coming? I am going to shout it out to the world! To all of you who joined the Activist “Dear Woolworths” campaign by writing articles, sending e-mails, signing the petition and talking on camera – asking Woolworths to please stop using battery eggs in all their food products – THANK YOU, This campaign has been a success! Activist will now shift the focus to the Ethical Egg campaign which is aimed at Shoprite / Checkers, Spar, Pick ‘n Pay and the relevant players in government. Please notify as many of your friends and family about this campaign – we need a significant base of activists to raise awareness and end battery farming in South Africa. Yesterday morning I had Bello euthanased. A day I had been preparing for since the day I got him, given his compromised genetically modified body. However, even knowing the day was coming, I never really seem to be prepared for the reality of the heartache of saying goodbye. Bello’s started limping last Wednesday, and by Saturday he had become lame, and was unable to lift himself up on his legs. Even pain killers were not touching sides, as he panted with distress and pain, shifted pitifully from wing to wing and called to me constantly. I could not wait to get him to Jean on Sunday morning to end his short, compromised life, and more immediately end his suffering. I would have loved to have been able to euthanase Bello in the comfort of our home, but it was more humane to give him an anaesthetic gas to go to sleep first, and then to inject the euthanase. I held him until the end, and talked to him constantly. Knowing he was out of his misery was an immense relief for me, however, I also feel very sad and very angry. Sad, because I loved Bello. I can still smell his clean feathers, and feel what it was like to dig my nose into his soft neck. I shall miss him. Angry because Bello represents an Industry that has modified chickens to grow from 0 to slaughter in 6 weeks. Bellos body was designed to work against him from the start. Anything I did would not have made a difference to this outcome. He got to 20 weeks, and there was a part of me that thought we may have beaten the system. Sadly for Bello, not. STOP eating chicken for the sake of every other Broiler out there! We buried Bello in our garden. 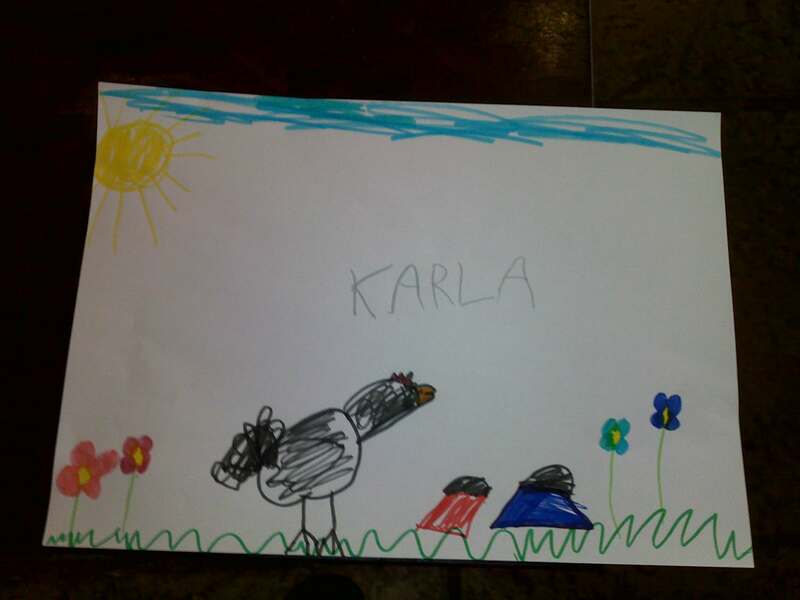 My daughters drew 2 beautiful pics for him to be buried with. Rest In Peace my magnificent and brave boy! You did influence a few people to stop supporting the chicken industry through your life. Bello – a sore injury or lameness? Last Wednesday Bello started limping and was clearly in pain. I took him to Jean, and she gave him an anti inflam, and one for the following day. 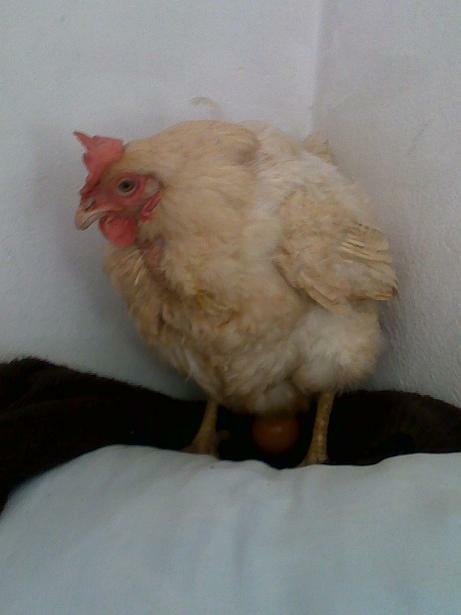 Anti inflams hammer chickens kidneys, so you cannot give too much. Really not good for them. By Thursday Bella was pretty immobile, and yesterday, he could not walk and standing caused him to hyperventilate. I consulted my homeopath, and asked her if she was able to assist. She gave me some joint and ligament supportive remedies. Started treatment at lunch time yesterday. A friend of mine also offered to do some T touch on Bello, which he loved. Fell asleep during treatment. At present Bello is requiring us to feed and water him in his bed. This morning seems no different. I am hoping this is an injury which will heal, however, my fear is that this is what we have been watching for in Bello – lameness. Lameness brought on by a cruel industry that has modified these chickens for meat consumption. Bello’s legs cannot support his giant 6 kgs. I feel so sad for him (and for me, I have grown so fond of him). At this point I am thinking will give him a few more days, get a few medical opinions, and mostly watch this boy that I know so well, and monitor his comfort and pain levels. If nothing changes, then I will euthanase Bello, and try to focus on what he did have in his short life, and not what he has not had. STOP EATING CHICKEN! When you buy chickens for food, free range or not, they have been modified to grow too quickly and their bodies are consequently sore. You are supporting a horrendous industry. Bello is representative of this revolting industry. 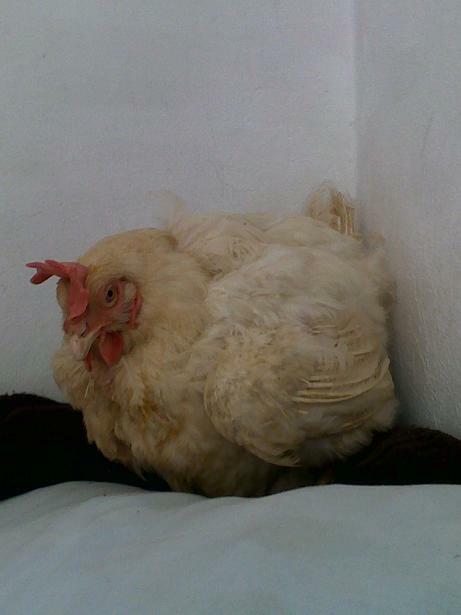 Yesterday Celeste came to fetch G & T, rescued last weekend from Zandspruit. Celeste and I have been chatting for a few weeks prior to rescue and over this last week – so, it was great to meet her in person. Again, I felt so safe handing over these two chickens. 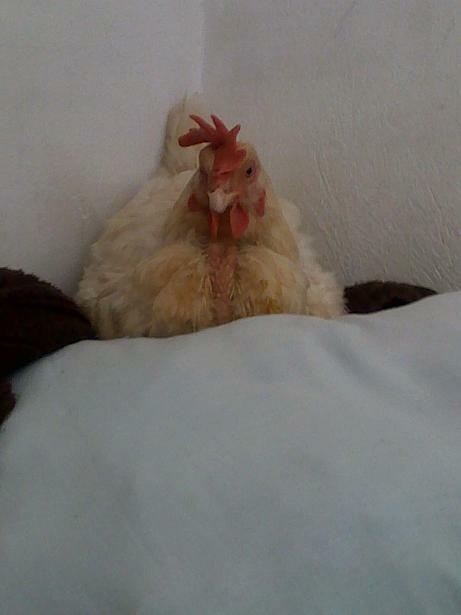 Celeste was just warm and gentle with the chicks, and so excited to show them their new life. I feel so privileged to be able to do this work, and meet these other amazingly compassionate people. Celeste kept me updated yesterday on their progress throughout the day, and last night I was treated to some fabulous pics on Facebook of their day – I have taken two of the pics off Facebook. I also got this message from Celeste. Thanks Celeste, and you too. 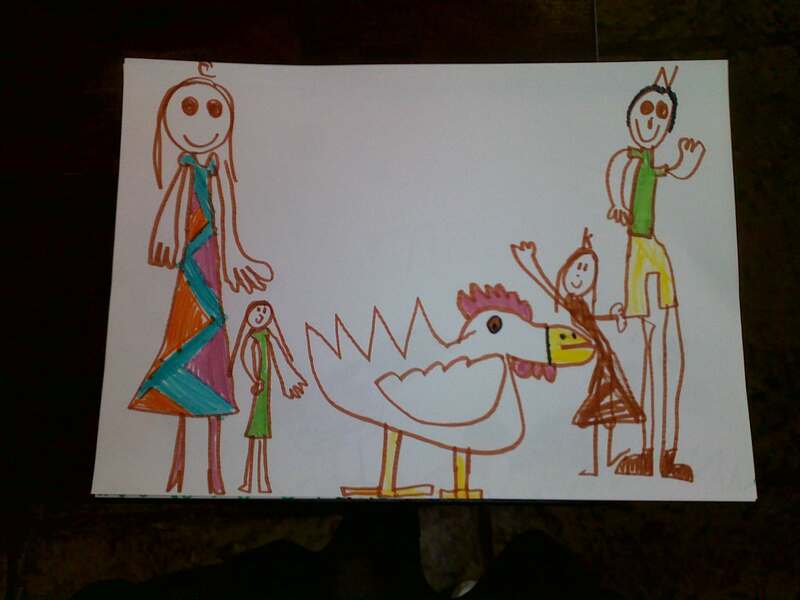 You are a wonderful ‘chicken mum’.